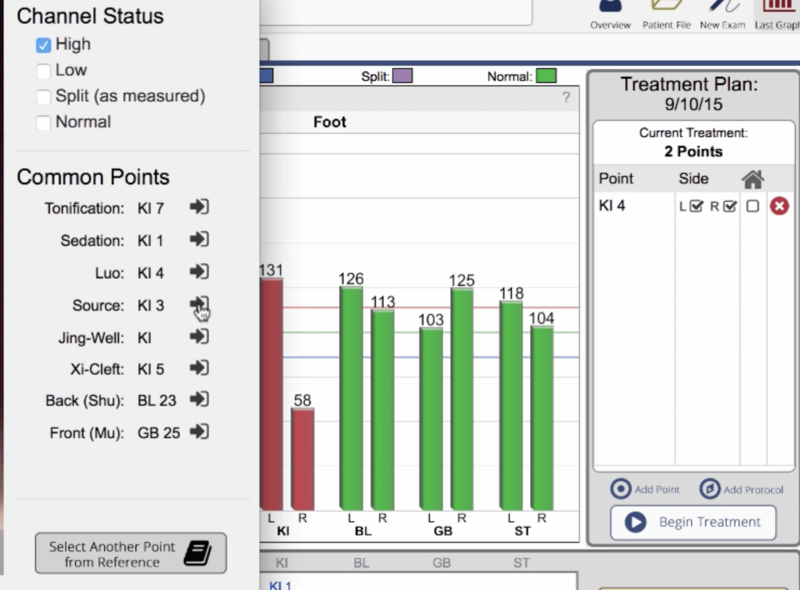 In this tutorial, we’re going to look at some of the more advanced treatment options in AcuGraph for those that like to really customize their treatments and their treatment point selection. When you look at the graph of a patient, for example the one below, you can see that there are two deficient meridians, one excess, and one that is split. Let’s suppose that you want to treat the split meridian as if it were excessive because one side is excessive. You can go ahead and click that meridian and it will show you that channel. (This is excellent when you are explaining the graph to the patient, by the way. You can click on any channel for more information). In this case on the Kidney meridian, change the status of this channel from split to excessive. Simply click High instead of Split and the graph will update in real time. As you can see here, the channel now appears red to show that it is being treated as excessive. You will also see recommended treatment point update to treat based on the excessive finding instead of the split finding. Suppose that the recommended point isn’t the one that you want to use to restore balance for this channel. 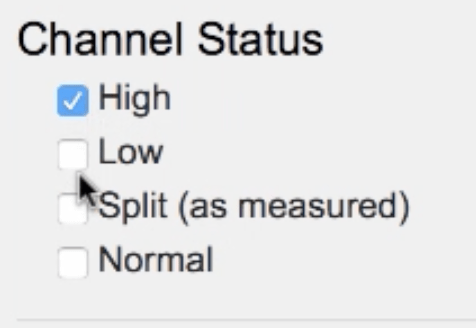 Clicking on the channel on the graph you can see the information for that channel, with the Common Points listed for this channel. Click the icon next to any of those points to automatically add that point to your treatment plan for the day. 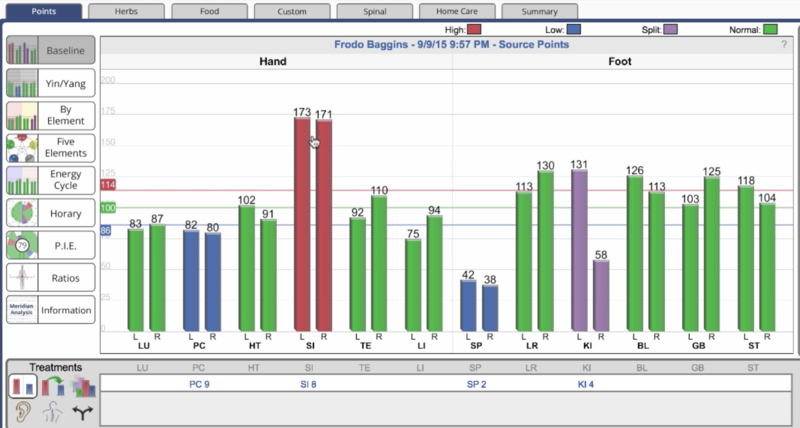 You have complete control over what you’re doing and how your tracking treatments for your patients. 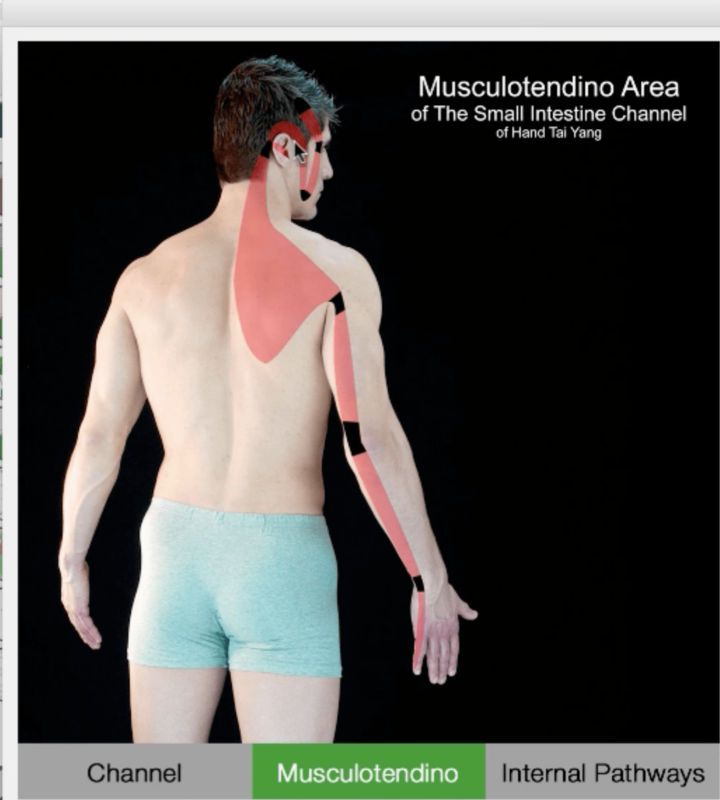 While we’re looking at the Channel details, one of the patient education tools that you should be aware of is the alternate views of the channel which include the Musculotendino channel view or Musculotendino area for that particular meridian. 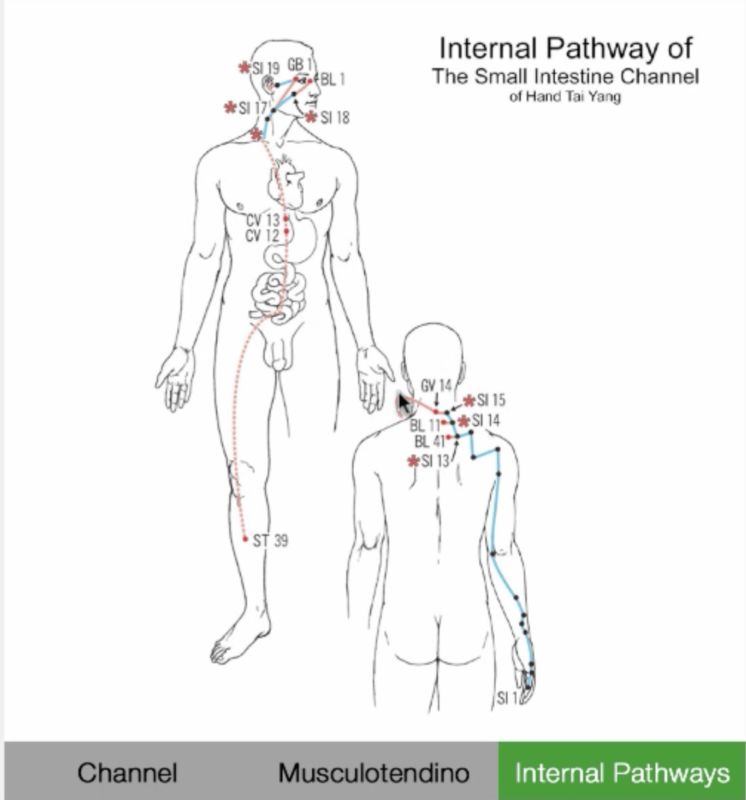 And you can also illustrate the Internal Pathways for that channel. This is very useful to explain how these meridian pathways make their connections. 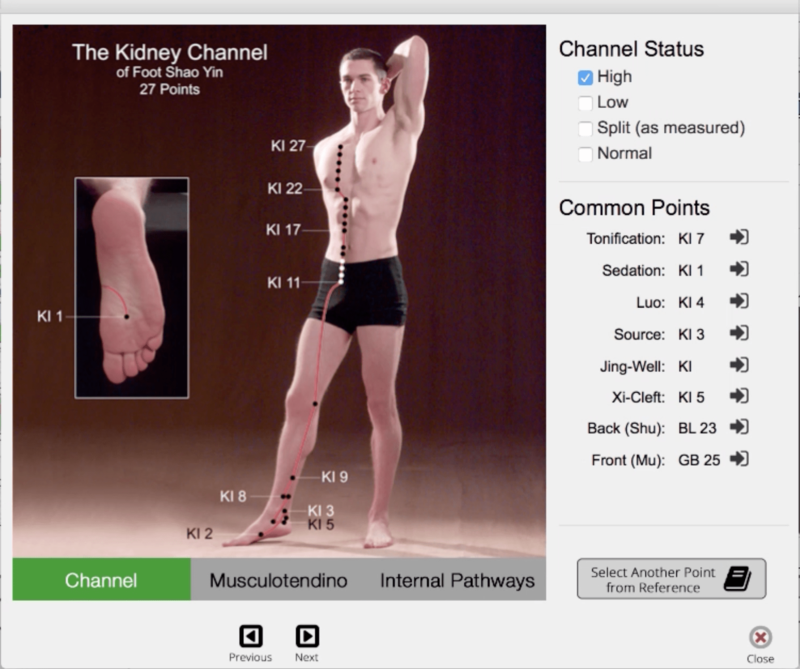 AcuGraph 5 has the best tools for patient education and communication, showing exactly what’s going on with your patient’s meridians, where they may have pain and how are you going to help them get better.